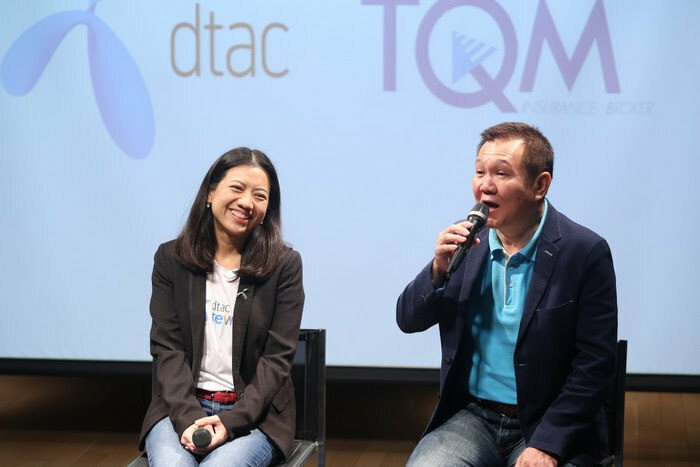 December 12 2017 - dtac and TQM announced a key strategic partnership for the first time in the "The Gift of Happiness" campaign, offering a range of special privileges for dtac and TQM customers through TQM sales channels to meet the lifestyle of customers in the digital world. Dr. Unchalin Punnipa, President of TQM Insurance Broker Co., Ltd. said that customer’s lifestyle has changed and the internet and communication devices become more and more important. 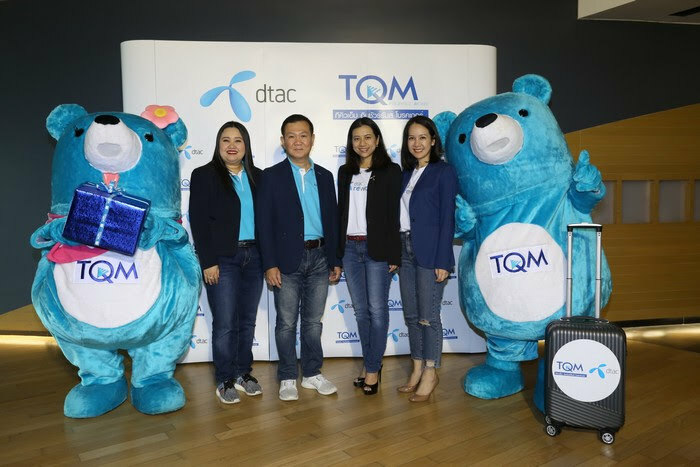 dtac has always recognized the significance of giving privileges to its customers and the collaboration with dtac will help to expand TQM’s customer base. TQM will offer a range of insurance privileges such as motor insurance, travel insurance, personal accident insurance, etc. to both TQM and dtac customers in “The Gift of Happiness” campaign. dtac blue members who purchase motor insurance from TQM will receive free compulsory insurance while gold members purchasing more than 10,000 baht of motor insurance from TQM will also receive free compulsory insurance. Silver members purchasing more than 10,000 baht of motor insurance of passenger car will get a 323 baht coupon code on compulsory insurance. As it is time for traveling, dtac customers who purchase travel insurance with TQM will receive Sim Go! Inter value Bt399 free of charge. For workers, those who open new dtac Sim Nikom Mongkon will receive 100,000 baht personal accident insurance valid for 3 months from TQM free of charge. Discover many privileges from “The Gift of Happiness” campaign slightly from December 15, 2017 to June 2018. More information will be available from dtac Reward and www.tqm.co.th as well as dtac’s and TQM’s LINE and Facebook. “dtac and TQM continue developing their business in the future to serve requirement of their customers. Finally, the customer will receive the most pleasure” Dr. Unchalin said.